It all happened 10 years ago when someone by the name of Satoshi Nakamoto has posted on the p2pfoundation blog the concept of a decentralized virtual currency, that changed the world of finance forever. This mysterious person was articulating the truth about the current banking system and the serious flaws it has, which must be resolved. He definitely wanted a better future, where each individual becomes an actual owner of his money, where trust in a currency is not based on the centralization and authority, but rather on a decentralized system where thousands of people support the network and transact value between each other. According to an excerpt from his last published memoirs, he was designing the decentralized network which could operate on a Proof-of-Work consensus algorithm, applying for the first time solution to Byzantine Generals Problem on a global financial scale. But no technology is perfect, and unfortunately, the PoW algorithm has its implications in the form of 51% attack possibility which allows anyone with sufficient computing power to make cryptocurrency double-spending, transaction reversals and much more. Therefore, in the light of near-future quantum computing inventions, his paradigm of the decentralized and secure network becomes obsolete. That leaves a vast space for projects like Ilcoin to pick-up existing technological legacy and make significant improvements which can robustly serve the future. From the technological standpoint, Ilcoin was built on SHA-256 algorithm as Bitcoin, but working for 4 years, developers have invented a significantly upgraded version of it called C2P (Command Chain Protocol). The new protocol brings in a separate digital signature next to the hash in each block, and it drops the possibility of a successful 51% attack nearly to zero. The digital signature itself is added by third-level Admiral nodes, which work in tandem with second-level Validator nodes. On top of that, Admiral nodes create separate blocks which contain current and previous digital signatures, and those blocks are united into the separate blockchain which works in a synchronized way with the main one that stores transactions, hashes, and other information. The first-level nodes simply broadcast transactions and store all ledger data, maintaining the network’s integrity. In comparison, the Bitcoin is vulnerable to artificial block injection, while Ilcoin remains untouched, representing by itself a quantum resistant blockchain. But it’s not only about vulnerabilities, it’s about user experience as well. On August 23, 2017, the Bitcoin network activated the SegWit transition, which marked an essential upgrade of the block-size, which was increased from 1 MB to 2-4 MB per block. Considering the fact that digital signatures take 65% of all Bitcoin ledger data, that was a significant upgrade, which also has reduced the network’s transaction overhead. This checkpoint has allowed users to send more transactions, avoiding excessive network congestion. On the other hand, Ilcoin has a better technology regarding the block-size that equals to 25 MB per block, much faster transaction speeds that reach 170,000 tx/block, and the possibility to process more than 15 million transactions daily. Unfortunately, Bitcoin is old technology, and its transaction speeds remain at 7 tx/s for many years, and it’s harder to make any changes when the network is so dependant on a mutually-agreed consensus algorithm. 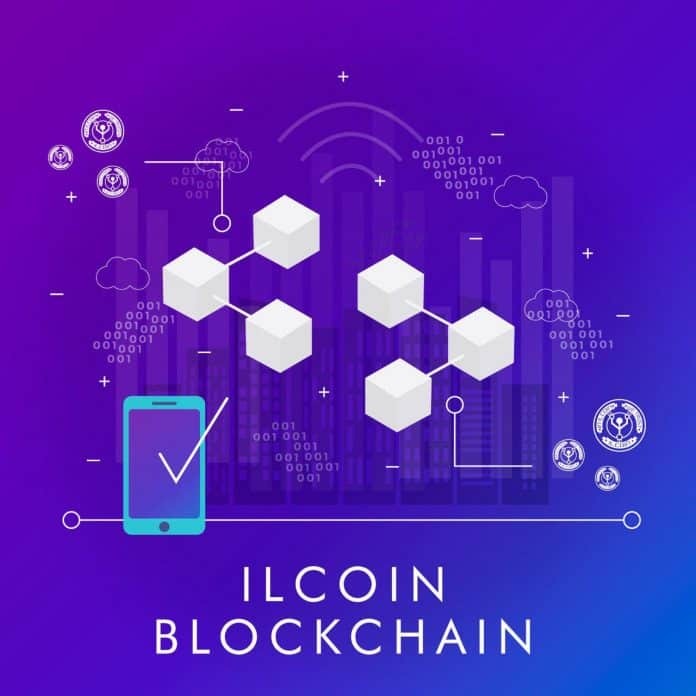 Moreover, by the end of this year, Ilcoin’s smart contracts will be rolled out on the market with the significant potential to overlap many existing projects in terms of functionality and usability. In hindsight, the Blockchain industry has gone a wrong path, trading freedom, privacy and technological advancement for purposeless crowdfunding and marketing with exaggerated budgets. That path made the whole world believe that cryptocurrencies and Blockchain are synonymous to the word “scam.” Concentrating efforts on marketing only leads to dramatic drawbacks in technological progress, and unfortunately, more than 80% of the ICO projects became scam or dead in just a couple of years. That leaves everyone thinking that maybe cutting-edge designs, dozens of trendy conferences, excellent whitepapers are not things that we should pay the most of our attention to? Technology is what makes the project truly valuable, and Ilcoin crypto shows all signs of becoming a bitcoin alternative in the next few years. And maybe the old paradigm that was in Bitcoin creator’s mind has to return in the new light of progress, combating existing and future threats. It won’t happen overnight, but the new foundation is already built, and the paradigm shift will occur soon.